The Sleepwell divan base are made by Kelcol bedding and offer a bespoke service on a divan base with a choice of either a 6" or 8" base with no drawers or a 12" or 14" deep base available with 2 inch deep wheels or Chrome colour glydes , the base is also available with or without drawers . This upholstered fabric base is shown with a optional Milan headboard which can be made in one of 20 exciting fabric colourways. The base is also available in special sizes of multiples of 10cm or 3" in any direction, for a price please cfall us. 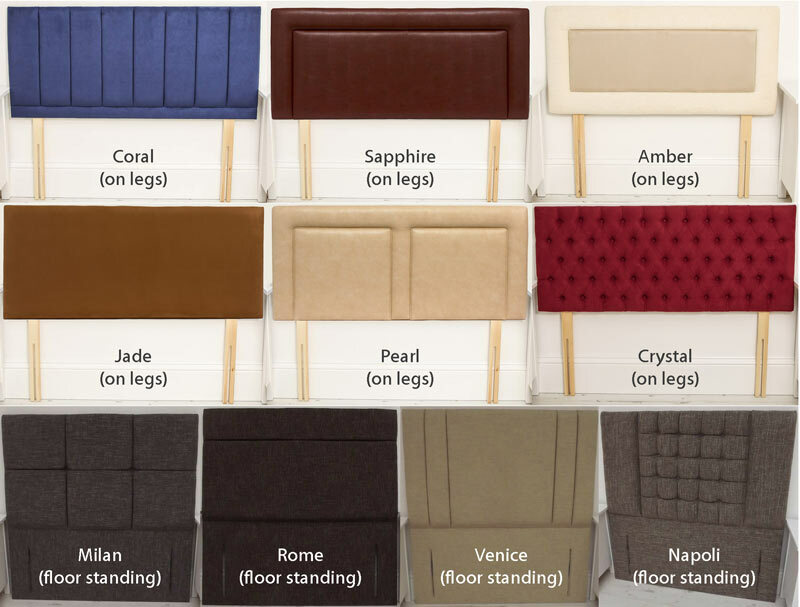 The base is made with a compressed cardboard top like all divan bases but can be upgraded to a stronger pegboard top, you can also choose between castors or chrome look glydes. It is also possible to have a single base made in 2 pieces for a extra £25 or a double, made in 4 pieces for extra £30 and a King Size, Euro king size or super king size made in 4 pieces for an extra £60. 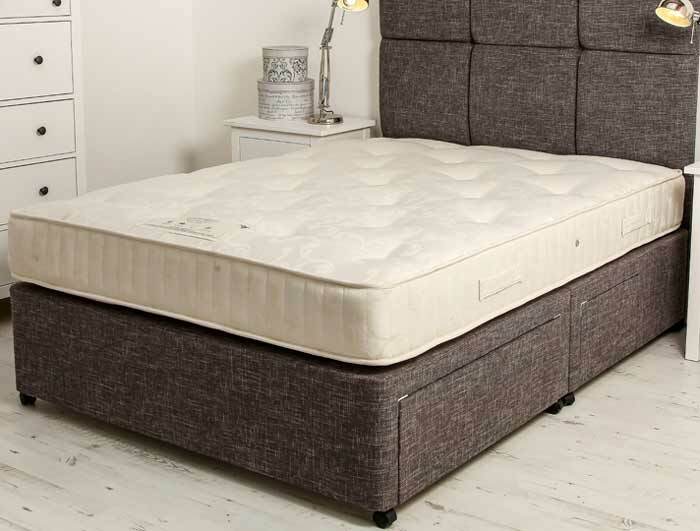 the sprung edge 4 piece base is a bespoke option and will take up to 28 days, Please note all bases made in 4 pieces are treated as bespoke made to order and are exempt from distance selling regulations and thus are non returnable.